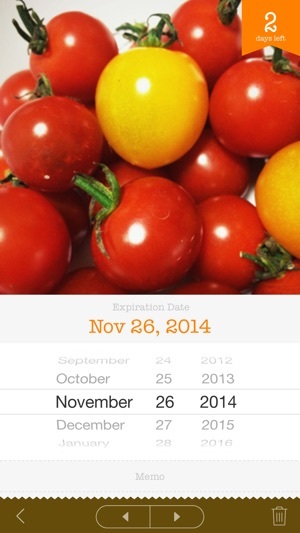 FreshPantry helps you to organize foods and its expiration dates. You won't miss expiration date and waste food any more. 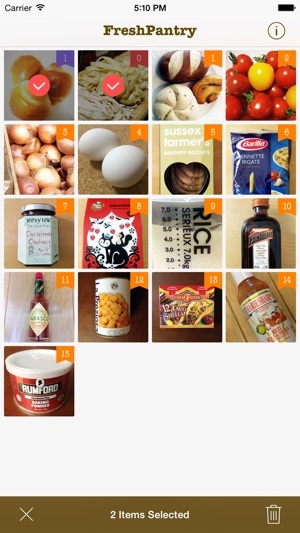 Unlike most of apps, FreshPantry can do only one thing and does it very well. All you have to do is take a photo of your food and set expiration date. No extra steps. No clutter. Just photos of your food organized in neat order. 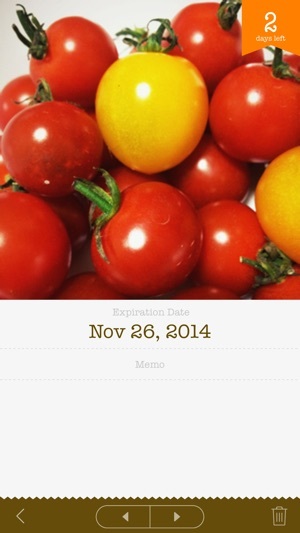 FreshPantry takes care of the rest; letting you know when the date is expired. You can also use FreshPantry as organizing your medicines, coupons, or cosmetics. The data of PreshPantry, it is not to host the server, located in the only iPhone. If you want to backup on iCloud, Please be set to ON in the Backup Options. You automatically recover data even when you restored with backup. It is a good way to do following "DATA BACKUP" , because in some cases restore does not work unfortunately. Data of FreshPantry can be viewed from the File Sharing. - Connect your iPhone with PC. - Open the "Apps"> "File Sharing" on iTunes. - Save "PL02.db" file to PC. You can recover the data by replacing this file. - Bug fixes including a fix for privacy of camera. - Support to the size of the new iPhone devices. Edit: The push notifications don't work to show you your set prior day alert of when an item will expire. 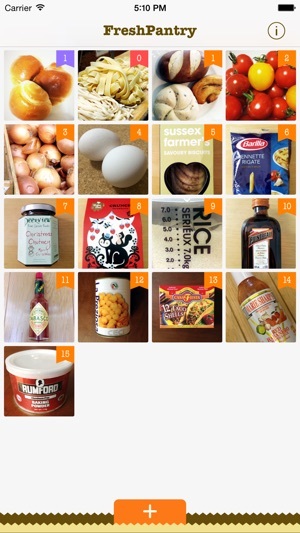 I love that you're able to take a picture of the products and foods, that way you can recall what and where each one is. I also love that it has it sorted by what will expire sooner than later. Also the push notification option is great! Such an awesome app! I decided to give this app a review because I like the user interface. Things that will make it better would be a share functionality so that both my wife and I can know what we have in the fridge and pantry. Also categories to separate food. Also divisions for fridge, pantry and other storage. I hope that the makers will read this and work on an update. So far it does the job. Thanks!